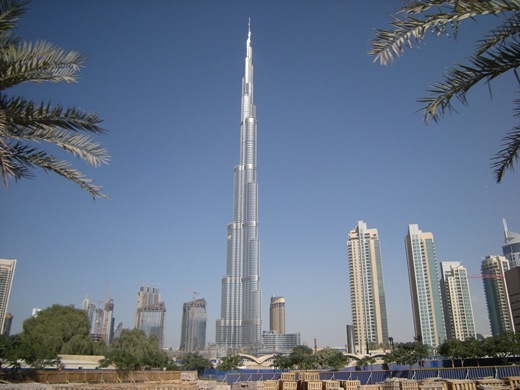 News and research on the property market in Dubai. Read our latest news articles on what is happening in the real estate market in Dubai including information on properties, statistics and trends. 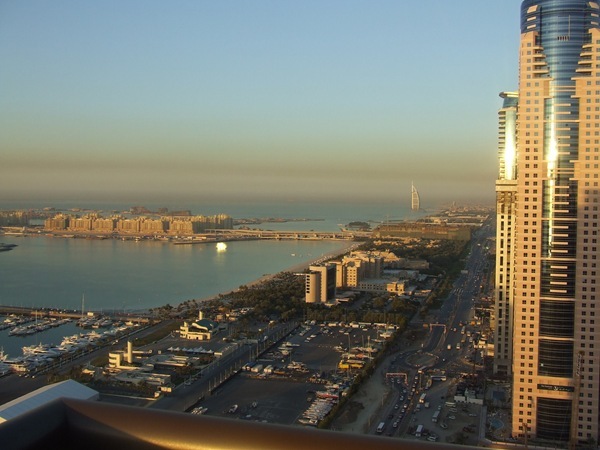 Catch up on the latest data affecting those looking to buy a property or holiday home in Dubai. Property prices in one of the world’s most overheated markets have begun to level off, according to data released by real estate company Asteco. The latest report shows prices increasing by 6% for villas and 3% for apartments in the first quarter of this year. Prices last year rose by 42% overall – about 3.6% per month on average, 3 times the present rate. Dubai’s market is recovering equilibrium after a sharp upswing triggered when the city won the honour of hosting Expo 2020. While concerns remain in the rental market, with apartment and villa prices rising by 5% and 3% respectively in the first three months of the year, the impact of the new regulations on loan-to-value (LTV) rates for mortgage applicants. As a result of these, the report said, there is increased interest from potential buyers in competitively-priced, off-plan developments offering attractive payment plans. This change should filter down into the rental market as new landlords pass the benefits of lower initial costs and increased investment security down to their tenants. The new regulations, pushed through by the Central Bank this year, slightly favour Dubai native buyers, and are designed to reduce speculation. First homes priced at less than $1.36m, LTV is capped at 80% for UAE nationals and 75% for expatriates of the UAE. Higher-priced properties face stiffer regulation and LTV falls to 65% to 70% for higher priced properties, and 65% for UAE citizens’ second homes, 60% for expatriates. Most significantly, loans for off-plan units are capped at 50% flat, regardless of the price of the property or any other factors. More than 3,000 new apartments came on the market in the first quarter of 2014, suggesting that part of the reduction in price growth rates may be down to increased supply. Off-plan apartment projects like Mulberry Park Heights, at Mohammed bin Rashid City, Atria in Business Bay, Palm Tower Residences on Palm Jumeirah, and Celestia Serviced Apartments at Dubai World Central, are part of a new generation of Dubai projects, because they’re affected by the new regulations. Prior to these, Mr. Stevens says, ‘we saw deals flounder as sellers with genuine offers decided to wait in anticipation of further growth. Transactions slowed down in established communities where surging prices went beyond what buyers were willing to pay.’ Looking forward past the expo, it’s plain to see two competing visions of UAE property success – the old Dubai model, and the lower-risk, lower-return, higher-stability Abu Dhabi model. For Dubai, home to what one commentator has dubbed ‘bubbleomics,’ many think it’s time to switch; but the latest figures suggest that this may have already begun to happen. 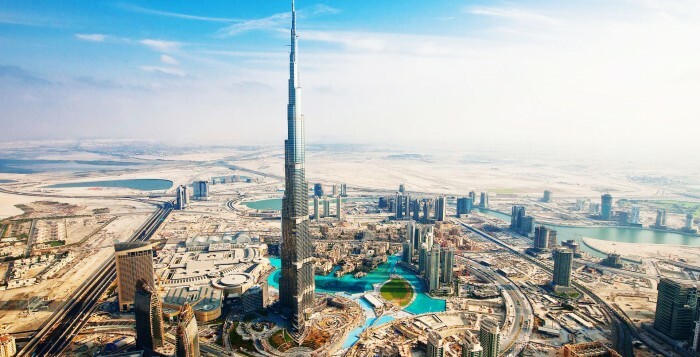 Experts have warned that rising rents and a lack of affordable housing in the Emirates as a whole, but especially in Dubai, could be leading to a situation that inhabitants of London, Hong Kong and Berlin would recognize: Dubai housing is too expensive for Dubai people. That’s the forecast from CBRE Middle East, anyway. The property consultant firm’s latest report shows rents in Dubai rising by an average of 22% in the last 12 months, and the sharpest rise in the most affordable sector of the market: apartment rents rose 29% year-on-year, while villa rents showed only 15% increase. Mat Green, Head of Research and Consultancy at CBRE Middle East, said that rentals had increased by an average of 45% over the last two years, and that there’s an increasing ‘donut’ or commuter dormitory effect, whereby people who work in Dubai but can’t afford the rents there move to Sharjah and the Northern Emirates instead; good news for their housing markets, bad news for Dubai’s workers. John Stevens, of real estate services company Asteco, said that the rise in rents threatened to empty Dubai of workers as a ‘flight to affordability’ kicked in. His predictions matched what’ already begun to happen, that workers from Dubai would seek homes in Sharjah and the Northern Emirates. Meanwhile, the CBRE said the strongest sub-markets for apartments were Dubai Sports City, Downtown Dubai, JBR, International City and Dubai Silicon Oasis, all prestige projects, economic hubs or both. 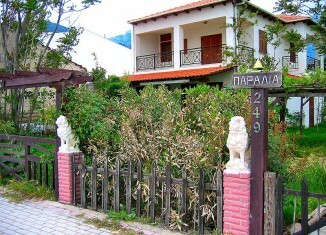 The best performing markets for villas were Springs and Al Warqa. CBRE’s report acknowledged that there was an increase in supply on the way as residential projects that are underway come to fruition, but that supply could be expected to exceed demand in the future, because demand had continued to rise. ‘During 2014, close to 17, 000 new units are expected to be completed with the majority of these set to be delivered in secondary location such as Dubailand, Jumeirah Village Circle and Silicon Oasis. Over the next four years roughly 65, 000 new units are penned for completion, with 83% of these being apartments,’ Mr. Green elaborated. According to CBRE, growth is expected to continue through the rest of this year, but it’s expected to be at lower levels than previously seen, partly because of Dubai’s attempts to restrain the market through new regulations but mostly, in Mr. Green’s view, a result of the increasing importance of affordability to the Dubai market as rents begin to bump up against the upper limit of people’s ability to pay. And those 65,000 new units aren’t going to be enough either. According to research by urban design consultancy Placemaking, Dubai needs 500,000 new homes over the next 6 years to keep up with demand. That’s significantly higher than the number that can be expected to come on the market; at current rates the next 6 years will see 97,500 units come on the market: less than a fifth of the number Placemaking calls necessary. Placemaker’s founder, Nadine Bitar, called for a high level, multi agency government committee, similar to the one called into existence for the Dubai smart city concept, to deal with the housing shortage, which she predicted would get worse as rents rose and insufficient affordable housing was built. Dubai’s real estate market has climbed almost back to its pre-crash heyday, but the process has been dogged with setbacks including a financing crisis and a profusion of unclear real estate agreements between tenants, landlords and developers. To combat this, the Land Department Director General of Dubai, Sultan Butti bin Mejren, announced on Wednesday, March 26 that standardized contracts would become mandatory in Dubai from May 1. Currently standardized contracts are available but their uptake has been hampered by the fact that they are voluntary. Now, though, they’re to become compulsory. ‘The new agreements will help us to get rid of some of the problems that may occur because of a lack of clarity,’ Sultan bin Mejren explained. There’s also a consideration of international trade. 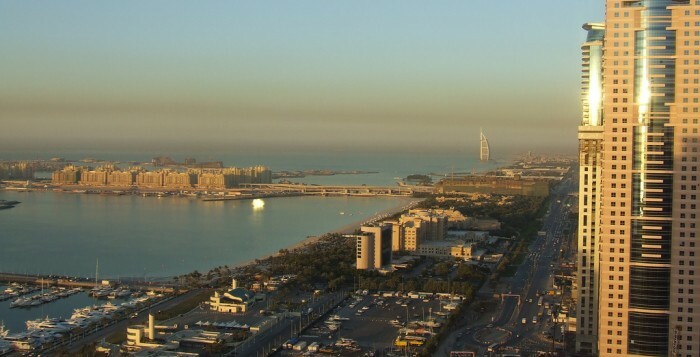 Although the majority of buyers in Dubai are currently from the gulf states, the city aspires to lead the region in both sales and excellence and Sultan bin Mejren believes that ‘having unified contracts between the parties not only avoids the misunderstanding and misinterpretation of articles that could previously have occurred, it also guarantees the rights of all the stakeholders involved.’ A market where every participant knows the deal right from the start is likely to be one that’s more attractive to foreign investors and buyers. 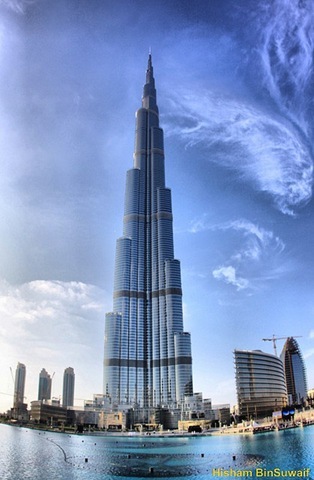 The Dubai property market is climbing in more ways than one, too. In a city with thousands of units’ worth of new builds, competition to offer something special to landlords or tenants is fierce and developers have found a way: views. Dubai is a visually arresting city, with views across the Gulf and the city’s increasingly illuminated and skyscraper-rich skyline. Canny developers are taking advantage of this by offering apartments with views across the city’s best vistas – for a price. The difference in price between an apartment with a nondescript view and one with views across the Gulf, the Dubai skyline – especially the more famous or picturesque parts – or the Burj Khalifa or the Dubai Fountain, is sometimes as much as 45%. In a city where prices are expected to rise by 10% to 15% in the coming year and rents to rise by as much as 20%, that premium amounts to a lot of money and indicates a rising luxury real estate markets that’s floating boats across the world. As Dubai’s market climbs, both literally and figuratively, it draws in luxury buyers from across the Gulf. But we’ve seen a burgeoning Dubai market before: could we be headed for a bubble? Both buyers and investors are showing keep interest in Dubai’s Marina area, pushing the market there into the black – and the region into centrestage. However, Dubai’s property market has exhibited rollercoaster-like characteristics in the past and overconfidence has been a hallmark since the first foundation was laid. 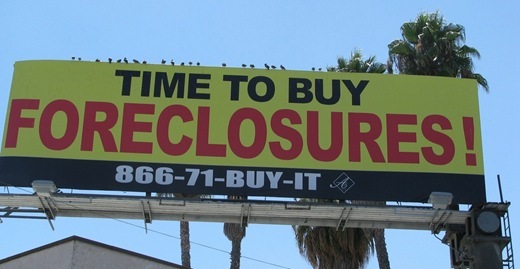 Not this time, according to PropertyFinder’s managing director, Renan Bourdeau. The current rise has a solid economic basis in tourism and trade, and the steepest rises have been in Business Bay, Jumeirah Village Circle and Dubai Sports City. Legislation has changed too, and some commentators say that the UAE Central Bank’s mortgage cap and the doubling of property registration fees are indications that the market is better regulated, less likely to overheat and more immune to speculation and bubbles. Dubai’s rental restrictions have been eased too: formerly, rents were permitted to rise by 5% only if they were 26% below market value. Now they will be permitted a % rise if they are 11% below market value. Rents have not risen in step with prices: apartment prices rose by 2.9% month on month in November while rents rose only 1.37% in the same period, indicating a lag. Dubai isn’t just outperforming the rest of the world, it’s outperforming its UEA neighbours too. 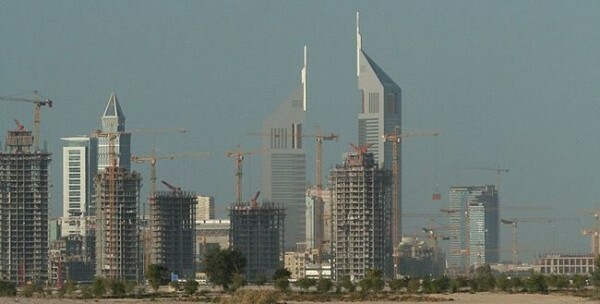 Abu Dhabi saw prices rise 19.7% year on year, a small but significant gap. The biggest difference, though, was in what properties were experiencing price rises. Abu Dhabi’s villa prices rose by 16.5% in the year to November 2013; meanwhile Dubai’s villa prices rose 14.9%, so the balance is tilted in favour of luxury property in Abu Dhabi, indicating the kind of boom in luxury housing that’s driven by second home buying and speculation rather than the apartment and house sales that indicate professionals moving to the area and revitalising its economy. Dubai also stands to benefit from an influx of visitors, professionals and investors caused by the upcoming Expo 2020, meaning that the boost to the area’s prices could be a long term trend, as Mr. Lahnyahi believes. 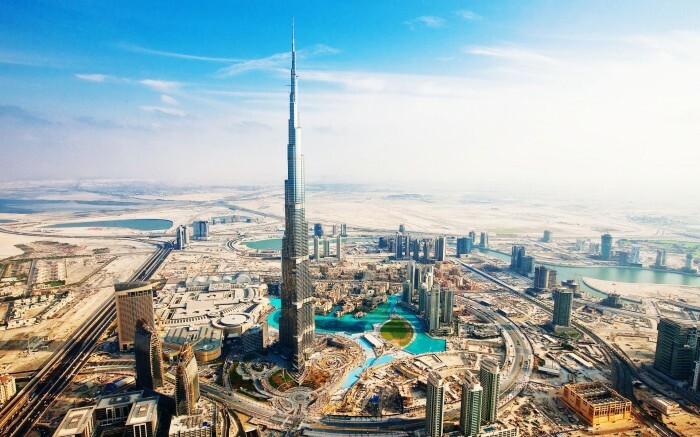 On the other hand, the IMF has raised its 2014 growth forecast for the UAE to 4.5%, but also warned the Emirates authorities of the risk of another property bubble. Harald Finger, IMF mission chief, warned that while growth should be aided by a number of megaprojects, ‘if not implemented prudently, these projects could exacerbate the risk of a real estate bubble.’ That risk should be reduced by increases in non-oil economic activity in the Emirates, as the area’s oil income remains steady amid ample global supply. Experts have reported a surprise fall in vacancy rates in Dubai, after an unexpected but much needed “summer rush”. Residential vacancy rates fell 25% from 11% to 8% according to analysis of the PropertyFinder.ae website by Peter Cooper, editor of Arabian Money an independently published Dubai investment newsletter. The figures come from the comparison of the number of apartments for rent and sale as a comparison to the estimated total housing stock in June and on September 7th. 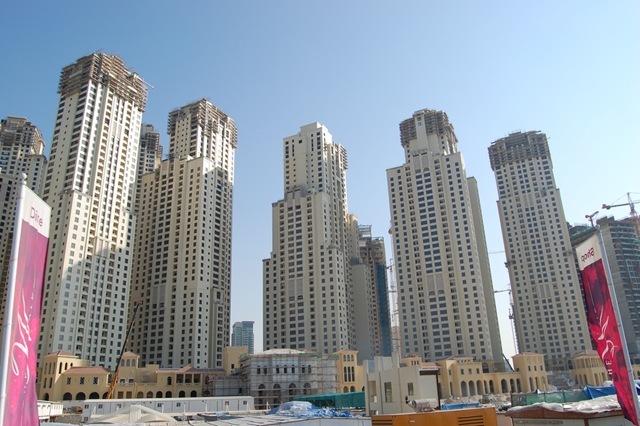 Arabian Money found 20,130 units for sale, and 11,797 units for rent in June, 11% of an estimated 300,000 unit-strong housing stock in Dubai. This is compared to 14,984 units for sale and 9,634 units for rent in September, bringing vacancy down to 8% of supply. “It is a supply squeeze and quite the opposite of what we expected,” commented Cooper who has been writing about Dubai real estate for more than a decade. “This could be a sign that people are actually coming back after the summer, and lower rent has brought back the commuters from Sharjah and encouraged those paying high rents in Abu Dhabi in turn to commute from Dubai,” he added. None the less, looking at Dubai’s 7,561 apartments available for rent, compared to that of Abu Dhabi with 979 apartments, this is still high, but, according to Arabian Money is a reflection of Abu Dhabi’s performance being even stronger over the summer. “Abu Dhabi stock has got even tighter over the recent weeks. Presently, there are 1,684 units for rent and 1,680 for sale,” Cooper said. He recalled that in June Elaine Jones, MD of Asteco, one of Dubai’s two leading local estate agencies, commented that the reported ‘new supply’ was hard to identify; her market instinct has now shown up in the hard figures. The reason for the drop in the vacancy rate is in some doubt, is it because new supply is slow in coming on-line? Or is it because new supply is closer to the lower end of predictions (10,000) rather than the high end (30,000)? But Cooper thinks the answer is probably Dubai’s reaction to the financial crisis, allowing the housing market to sort out supply, demand and price. “Dubai has let the market system work,” he said. “The ‘high’ property and rental prices could not supported and were ‘allowed’ to fall to a level that the market can support, down by up to 50 per cent,” he concluded. That final statement could be looked upon as bearish. Nobody allows prices to fall, the market demands it; no one really gets a choice in the matter. When the demand balance tips in favour of supply/buyers, price drops almost always become inevitable, it is simply a matter of time. In this case Dubai prices fell sharply and the market would have recovered in 2009 were it a direct result of the prices falling. Rather it was a massive drop in confidence that triggered falling demand and prices, and it is the restoration of that confidence (with the big developers being bailed out for example) that has led to the rising demand. At any rate, you can’t argue with the facts. Vacancy rates do appear to have fallen for now, whether they will rise sharply again will depend on just how much new supply is out there, and how quickly it comes online. The Telegraph has unearthed what looks like proof that Hamid Karzai and other senior members of his family, who are also in high ranking positions in the Afghan government or business world have been complicit in the misappropriation of funds given as aid for the impoverished Afghan state. Afghanistan relies on international aid to pay for more than 50% of public sector wages (including the NATO-backed and trained security forces), yet Karzai and several others have bought properties in Dubai worth millions of pounds. The impressive portfolio includes 14 villas on Dubai’s premier development; Palm Jumeirah registered in the name of Sher Kahn Farnood, former chairman of Kabul Bank — former because he resigned last week upon orders to hand back the property. Farnood owns and occupies a “Signature” villa valued at £4 million or more. The Bank — which is heavily implicated in the scandal, as will be explained in more detail — also owns an apartment, two business plots and — loss-making — airline, Pamir Airlines, in Dubai. Kabul Bank is drenched in the scandal. For instance Mahmoud Karzai, the third largest stakeholder in the bank (and President Karzai’s brother) also owns a Signature Villa, and made £500,000 profit from the sale of a Dubai property which was purchased by a loan from the bank. On the other hand, another article in the Telegraph blog, by the same author Richard Spencer paints the affair in an entirely different light. So Kabul Bank invested in foreign property? So did every other bank in the world! Okay, the investments should have gone in the bank’s name not Chairman Farnood, but it’s not like they used their depositors’ money, who have withdrawn 300 million USD in the last 2 weeks without the bank running out. So those involved are all close to President Karzai, so what? Says Spencer, the links between big business and high government figures is much closer in the US’ allies in the Middle East than in Afghanistan. Look at Dubai where the supreme ruler owns the largest property companies, and has them run by his friends, the same goes for Abu Dhabi, and in Saudi Arabia the distinction between the Royal Family and the biggest corporations is practically none existent. Those are some good points, but the question remains: where did all this money come from in such an impoverished country? But Saudi Arabia’s money comes from oil revenues; any fraud involved in where and how that money is spent is Saudi Arabia and its population’s business. Given the impoverished state of Afghanistan and the amount of aid needed just to pay public sector wages, we have every right to demand prove that our aid was not used to fund such a lavish spending spree. 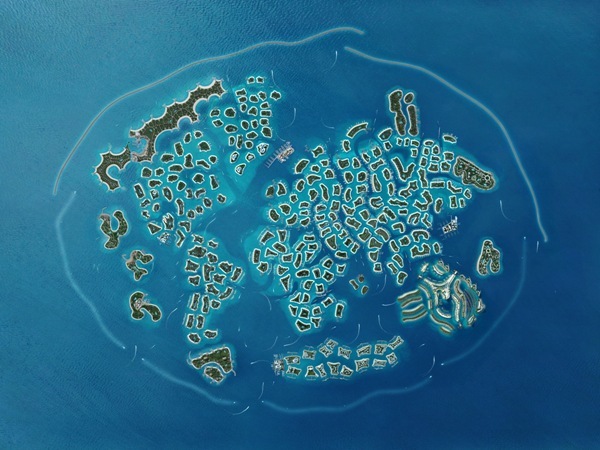 An Austrian developer is to become the first to build on the famous come infamous Dubai World Islands — an archipelago of islands loosely matched to a map of the world; loosely in that the islands are in roughly the same place as the corresponding country on the map, but the islands are not shaped like the nations or cities they represent. Developer Josef Kleindienst bought six of the islands in 2006, but delayed plans because of the market slump. The fact that he is building now, how he is building now and the success stories he is telling reporters could all become known as significant in a turnaround-of-fortunes for the luxury property sector in Dubai. It is significant that the firm has reduced investments in countries like South Africa to start building in Dubai. Looking at reports of both property markets South Africa appears to have the most near-term potential, but apparently Kleindienst Group research disagrees, or at least sees more potential in Dubai than most of us do right now. And, according to statements from Josef Kleindienst, CEO of the family-owned firm, their opening sales have vindicated this decision. Kleindienst is building The Heart of Europe, including a replica European City, complete with solar-powered climate controlled raining street, a Beach Bar on Monte Carlo, and villas and a hotel on St Petersburg, Germany and Austria. According to Kleidienst, 12 of the villas on Germany have been sold for between $1.9 million and $5.5 million each. 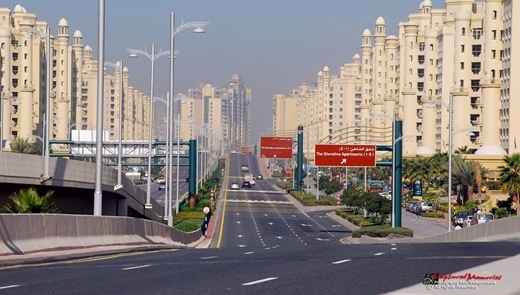 Selling off plan properties in Dubai is incredibly difficult at the moment, but Kleidienst believes the uniqueness of the development will win the day. 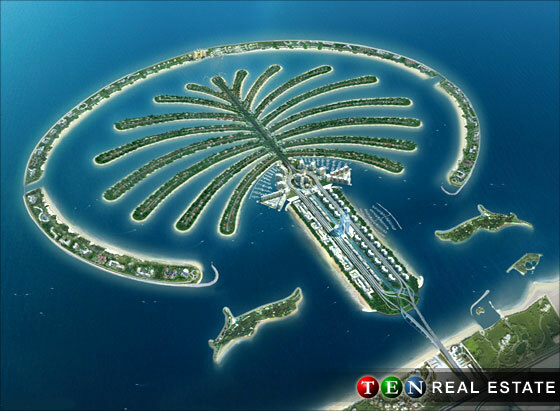 Kleidienst also said that While Nakheel “did everything they had to do contractually,” the company hasn’t gone ahead with plans to build infrastructure such as transport hubs that would have helped owners of individual islands move forward with construction, Kleindienst said. Dubai developer AA Properties, owner of Taiwan is planning to construct villas and houses there later this year, according to statements from the company. Kleidienst believes that his development, if successful will spur others to start developing on the islands. “The World is probably closely correlated with what happens in consumer sentiment and the real estate market in the Emirates. Given that we don’t expect a revival for the next 12 to 18 months, I think it’s unlikely there will be a revival of The World project,” he said. One thing is certain, the world will be watching the world very closely, and success for Kleindienst could lead to success for the world.